"Students in Helma Groot’s art classes had the chance last May to work with visiting “street art” practitioner Stephanie Rond, thanks to an artist residency funded by a BEF classroom grant. Ms. Rond, a Columbus-area artist whose work is gaining recognition nationally, visited art classes several times to show her work, to talk about the role of public art and public messages in society, and to help them create their own works of temporary street art. Ms. Rond always gains permission to hang her work, which is stenciled on paper, then hung with wheat paste, making it temporary, easy to clean up and environmentally friendly. 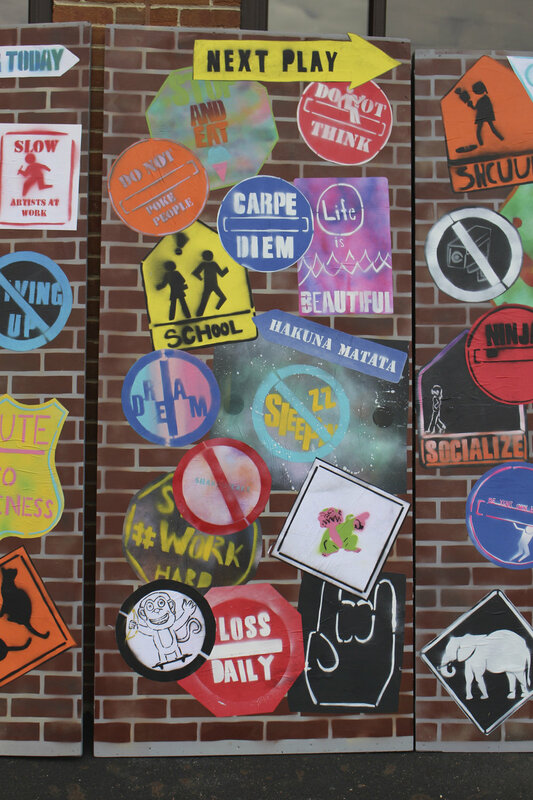 The student-created works will be installed inside Bexley High School"